Today, we bring for you this amazing step by step eyeshadow tutorial. 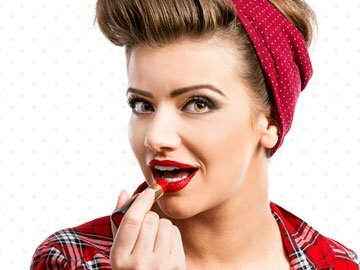 With these eyeshadow techniques & handy tips, you can transform your eyes, so that they become more beautiful and attractive. The eye shadow concept originated in Egypt about 12000 years back. The kohl was used by the Egyptians for improving their appearance and also for religious and medical purposes. The shelf life of an eye shadow is around 3 years. You get eye shadows in all sizes and shapes. 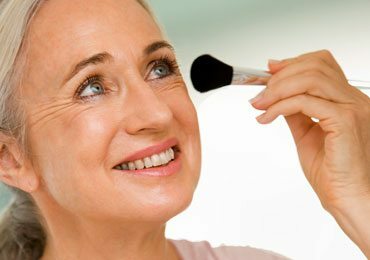 Applying eye shadow primer before applying the eye shadow can help in preventing creasing. Blending the eye shadow will give that perfectly natural look. Applying some shimmer and sheer in the inner corners of the eyes will be useful for brightening and whitening the eyes. The choice of eyeshadow colour will depend upon the colour of the eyes. Blue eyed ladies will look good with brown shades, while green eyed ladies should opt purple or burgundy, and the brown-eyed ladies are the lucky ones, who can use just about any colour. When you apply different shades, use one shade of colour in majority around the lash line, and soften it while you approach the crease. This will give a look of the shadow fading away naturally. For adding depth to the eyes, try applying a dark or medium dark shadow around the crease of the eye. When you look at someone, it’s the eyes that catch your attention first. In fact, looking at someone’s eyes can give you an idea about what that person is like. And, that’s because eyes are the windows to the soul. Even a perfect con artist cannot hide his emotions from his eyes. But, that’s all about the eyes. How does one make the eyes look attractive and beautiful that the other person does not get to look anywhere else at all? Well, this article gives you a perfect eyeshadow tutorial, which will give your eyes that sparkling and shining edge. While everyone loves to have those shimmery and smoky eyes, it is not easy to master the art of eye makeup. This eyeshadow tutorial will help in giving tips on using eye shadow for beginners. With this guide, one can use the eye makeup for daily wear or for parties or functions. Eye makeup is a lot more complicated than one thinks. A perfectly made eye can give you a sparkling personality, while a horribly made eye can make everything else go wrong. If you do something inexpertly, you might end up looking like a character from Halloween party. But, with the step by step guide that we have prepared for you, you will get those eyes-to-die-for, in just a few minutes. Before we jump on to the guide, you should know what all things you would require for doing the eye makeup. Eyeshadow palettes, which will lend the shimmer to the lovely eyes. A sharpened kohl pencil, which is deep, durable, and dark. A mascara, which can give a dramatic look to the eyes. There are various brushes available for the eyes, and you can find out which brush would suit you and your style. All the brushes have different functionalities. While some would be useful for doing the packing on eye shadow, the other would be good for blending and for giving that smoky look. A stiff flat brush is useful for applying the eye shadow on eyelids, and under the lower lashes. 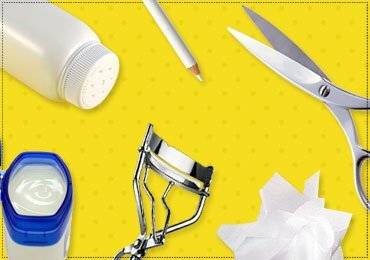 It is the most effective for packing the product on eyelids. And, it can also be used for applying glitter pigments, as it can easily pick the product. Pencil Brush is useful for applying the products on the lower lashes, especially when you want that smoky look on the lower lashes. This can also be used on the crease for creating soft crease lines. Other than that, it can also be used on the outer corners or edges, when intensity is to be added to the eyes. The dome brush is best for applying the colours and blending them out. 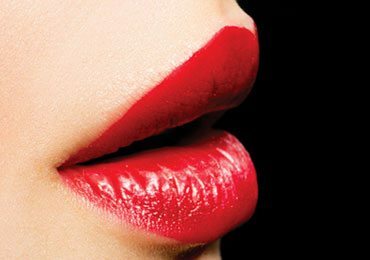 This is especially effective when more than a single colour is to be used and a smooth transition is to be created, without affecting the shade differences. The fluffy brush is useful for blending. It helps in achieving the flawless transition in eye shadows from one shade to another. It is also useful in diffusing the harsh lines so that the transition looks smooth and soft. With all the brushes in place, you can just sit through and find out how to apply eye shadow on your eyes in the most proficient manner. Getting the base of the eye area cleaned up is the most crucial step. Clean it up and then follow up with a good eye cream or moisturizer. After this, prep up the area around the eye with eye primer, which gives it a strong durability. This will allow the makeup to remain for a long time, giving it a seamless finish. 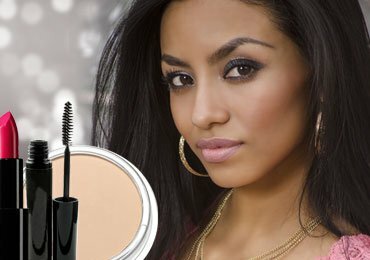 A concealer can also be used, which will give the right skin tone around the eyes. Use a brush to apply concealer and seal it up with a powder that is transparent or translucent. This will give an even look to the eyes, making the skin protected from creases. This will also help in concealing any kind of discolouration of the skin, creating a clean base for the colours to stay intact. Next step in the eyeshadow tutorial is to choose the right kind of eye shadow. For this, you will need to analyse the size and shape of the eyes. Depending upon that, the right eye shadow techniques can be used. 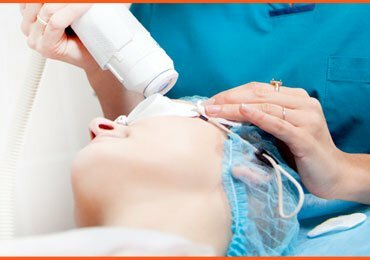 When we talk about the eye area, it includes the eyelid, the brow bone, and the crease. It is very important to know which texture or shade to be used on all these areas. For the eyelid and the brow bone, one should use textures such as shimmer/shine/frost, etc. and for the crease, one should use the matte finish textures. For contouring, the eyes, around the crease, use dark shades of eye shadow, and use light shades in the middle of the eyelids so that the eyes look spectacular. Using a flat brush, start applying the colour on eyelids, using patting or sweeping motions. When the lid space is less, you could use dull golden shade with frost texture. This will make your eyelids look prominent. Try to evenly apply the colour on lids and deposit it more for the intense look. 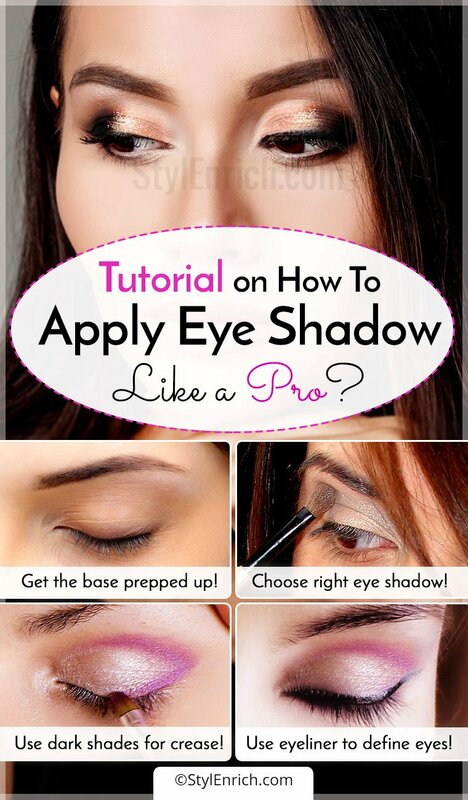 For defining the shape of the eye, use the darker shade of shadow. So, you can select from any of the dark shades such as black, deep brown, deep grey, dark purple, or any other colour that you fancy. When you apply, start it from the outer edge of the eye, blending it half way on the eyelid, using fluffy eye shadow brush. Also, use the windshield wiper motion while applying it. Blending it till the colour looks softer, will give that perfect look. For highlighting the brow bone, use lighter shades in shimmer or frost texture. To give a more dramatic look to the eyes, use kohl pencil on lower lash. Using a smudge or a pencil brush, smudge it so that it gives you a smoky effect. Professional Tip: Try using a beige or white coloured eye pencil on lower rims so that the eye shadow looks brighter and eyes look bigger. The next step is to use eyeliner for defining the eyes. Start applying from the outer edge and slowly pull it inwards, with the help of smaller strokes. Depending upon your style, you can either keep it simple or dramatic. This was a step by step eyeshadow tutorial for applying it in a perfect manner. Using multiple colours, based on the outfit and occasion, one can easily give a smoky look to the eyes, which will make them sharp and shining. Are You Scared Of Creasing The Eye Makeup? While buying an eye primer, buy a good one, which will give an instant boost to the eye makeup, and will keep the eye shadow stay put in its place for a longer time. Try to use a powder base and set the eye shadow on top of that. Use only waterproof eyeliner or a gel one so that the product does not get transferred anywhere. Before starting with the base makeup, it is essential to finish the eye makeup. This will ensure that any kind of fallout with the eye shadow around or under the eyes, can be quickly cleaned up, without the base makeup getting spoilt. Use pencil brushes for defining the crease area, and blend it nicely with the help of fluffy brush. Select the right formula which works the best for you and your eyes. 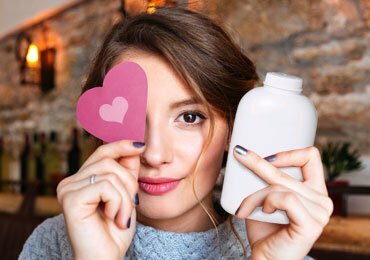 With a wide variety of options available, in powder, cream, or pressed form, the choice is in plenty. Remember that the cream eye shadows should be used as base for the powdered eye shadows. For deep set or hooded eyes, the eye makeup should be applied with the eyes open, rather than keeping them closed. This will ensure that the crease colour becomes visible. If you face issues while drawing a ‘V’ on the edge of the eye, then try drawing a ‘#’ instead, with the eye pencil. 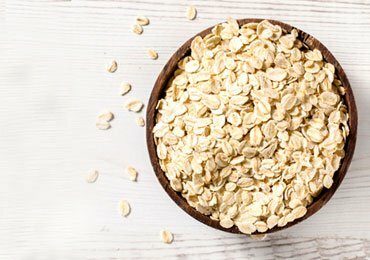 Blend this immediately so that the stark edges can be avoided. For avoiding a fall out of eye shadow, powder the portion under the eyes with translucent powder, before you begin with the eye makeup. 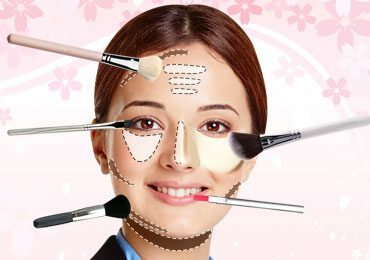 After completing the makeup, remove the powder away. Try waiting for concealing the under eyes till the eye makeup is done. Use only clean brushes for applying the makeup, as it will give the best transition. Applying the eye shadow correctly requires some amount of time, efforts and patience, but once you master it, it becomes rather easy. In fact, it can become a very enthralling task to put the eye makeup on and to show those dazzling and lovely eyes to the world outside. Colour Eye Shadow Works Best For The Eyes? For eyes that are blue, it is good to use soft tones that are neutral. And, these include coral or champagne colour. Do not use dark colours on your eyes. For brown eyes, you should go for neutral shades, such as bronze or copper, which will help in accentuating the colour of the eyes. You can also try and add some dark shade in the crease for deepening the look and for adding the intensity. For those lovely hazel coloured eyes, choose pastel, metallic or dusty pinks, which will make the eyes look even more beautiful. If you are dealing with eyes that are matured, then the best shades would be those, which make the eyes look brighter. On such eyes, the darker shades will give a tired look. So, you should opt for shades that are lighter and shimmer. 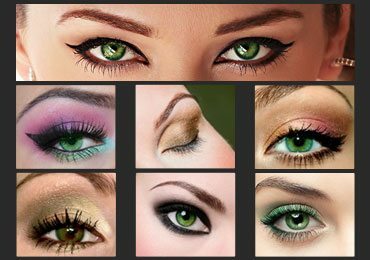 With all these eyeshadow tutorial and tips handy, you can just go about transforming your beautiful eyes, so that they become more dazzling and spectacular. Do not undermine the importance of eye makeup, as they will give your face a whole new meaning. Let the people get lost in the deep cesspools of your eyes. The aim is not to have people drown in them, but making them lost with the magic of the eyes. Look beautiful and stay beautiful!